Does this event fit into your overall marketing strategy? What type of event opportunity is it and what are the competition likely to do, i.e. brand marketing, unveil brand new products, present new technologies etc. Does this compliment what you want to do at your next exhibition? Will this event bring your business brand exposure and PR opportunities? Leads with editorials, journalists, trade magazines etc? 2. How successful is this event? 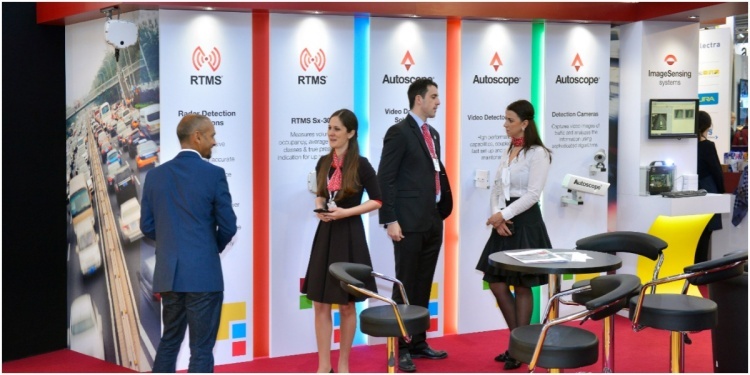 Most credible and established event organisers will have a track record of exhibition success. Find out who is organising this event and how long it has been running for. Does this event organiser manage other exhibitions and are they successful? Most organisers publish last years visitor numbers, exhibitor numbers and other ‘success indicators’ on their website. Read these, but also try and get a real review from someone who exhibited at the event last year. Are there other industry events being held around the same time and are they more/less well attended? How does this event compare to its competitors? Is it more/less expensive? Are there decent floor spaces still available at this show compared to another? Established events with a long history are often better attended and more well known, but don't necessarily be put off by new events simply because they have no track record. The lack of exhibition credentials for an event can keep floor space costs low, whilst the organisers are trying to attract exhibitors and visitors alike. You will need to weigh-up the risk of the exhibition not being a huge success with any savings you are able to achieve with cheaper exhibition costs. Unless an exhibition organiser keeps improving their event year on year, even the most established event can become stale and fall out of favour. How much effort do the organisers put into marketing the exhibition? Do they rely on last years attendees or their exhibitors to market the show? Do they help you by marketing your business on their website or in their exhibition literature? Do they provide you with exhibition logo’s and branding that you can use on your own blogs, websites, social networks etc. Find out who else is planning to exhibit at the show? Most organisers publish an exhibitor list on their website and this can give you an insight into how popular the show is with your industry leaders and whether it is viewed as a ‘must attend event’. Think about whether their visitors are likely to be the same as yours, helping you to gauge if this particular exhibition will attract your type of customer. The best floors spaces for the the most successful events are often booked immediately after the previous show has ended. This is often a good indication that companies had a great return on investment last year, so much so that they are confident committing budget to the event 12 months ahead of the next years show. Research who the organisers are marketing the show to. What type of visitors are they trying to attract? Are they you’re customers?